In case your building is being “assaulted” by pesky pigeons or seagulls, then PEST XTERMINATORS can help you with a pigeon control in London. An experienced bird control specialist will come to your property and make it pigeon-proof. We have developed a service that effectively deals with the annoying urban birds. Well, there's a bunch of pigeons that hang around your building pretty much all the time, then there you have it. Another sure sign is that the area is covered in their droppings. This usually indicates that they nest somewhere nearby. Also, keep your ears open for cooing and take a closer look at the building, you might notice their nests on ledges. 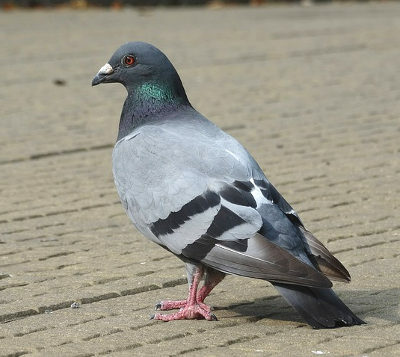 Pigeons are a common urban nuisance. They are noisy and make a huge mess wherever they go. When it's time for your pigeon control service, your pest controller will carefully examine your property to determine just how infested the site is. This way he will be able to determine what would be the best course of action against the pesky birds. Depending on how serious the infestation is, your pigeon control specialist can take different measures. Generally, the idea is to make your property very uncomfortable for the troublemaking birds. For instance, pigeon spikes and pigeon netting can be places on the roof of your building. Also, the application of a special gel will keep the pigeons at bay and prevent them from nesting. These measures are also effective against other types of urban birds. At the end of your pigeon removal service, the technician will offer you to give you some very helpful advice on how you can avoid future problems with annoying birds. Pigeons are dubbed “winged rats” and that's a pretty accurate depiction. They are annoying, messy, and can transmit various vectors of disease. Since pigeons find comfort around tall buildings, they are likely to cause problems for homes and businesses nearby. Unfortunately, pigeons don't migrate. They'd rather go through the most chilling winter just so they could keep doing their business of annoying everyone they live around. To describe my experience, I’d say this company has a refreshing approach for such an ungrateful business. I called them in to rid me of a painful pigeon situation that bordered with bullying. The expert explained that they have a different strategy with bird infestations and it actually made much more sense than extermination. They simply turned the outsides of my home into a pigeon repellent! The work was ellegant, with no complications whatsoever, and the result is evident for over a week now.